The Hamptons International Film Festival (HIFF) is pleased to announce a selection of the Signature Programs for its 24th edition, taking place October 6-10, including Films of Conflict & Resolution, Compassion, Justice & Animal Rights, and the brand-new Air, Land & Sea program. Films of Conflict & Resolution, dedicated to showcasing films that deal with the complex issues and societal effects of war and violence, and the attendant human dramas, in creative ways, will return with a mixture of features and shorts. Supported by the Brizzolara Family Foundation, the program will include the East Coast Premiere of Stephen Apkon and Academy Award®–nominated director Andrew Young’s DISTURBING THE PEACE, and screenings of Gianfranco Rosi’s FIRE AT SEA, which won the Golden Bear Award at the 2016 Berlinale, and Rokhsareh Ghaem Maghami’s SONITA, which was awarded the 2016 Sundance Film Festival World Cinema Grand Jury Prize and Audience Award. Compassion, Justice & Animal Rights, a program that provides a platform for filmmakers to share meaningful information, stories of inspiration, and tools for creating a safe and humane world for animals, will return for its sophomore year. The program will include the New York Premiere of Academy Award®–nominated director Kief Davidson and Richard Ladkani’s THE IVORY GAME, and a screening of Academy Award®–nominated directors Chris Hegedus and D.A. Pennebaker’s UNLOCKING THE CAGE.This program bestows one film with the Zelda Penzel “Giving Voice to the Voiceless “ Award at the HIFF Awards Ceremony during the festival. The Air, Land & Sea program will launch with the goal to generate awareness around man-made environmental issues and allow filmmakers and experts to share information and discuss solutions to these global problems. 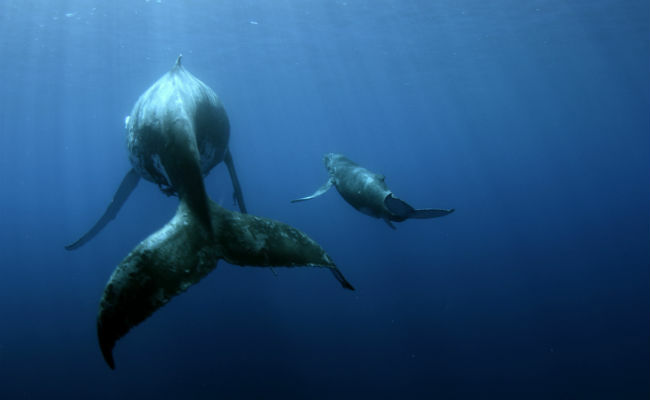 The program will include a screening of Emmy-nominated director Michelle Dougherty and Daniel Hinerfeld’s SONIC SEA, which focuses on protecting aquatic wildlife from the destructive effects of oceanic noise pollution. The documentary is a call to action to reduce the impacts of the shipping, seismic, and sonar noise in the ocean. Support for this new program is graciously provided by The Fond Group. Additional films that will screen as part of the Signature Programs will be announced in the coming weeks. 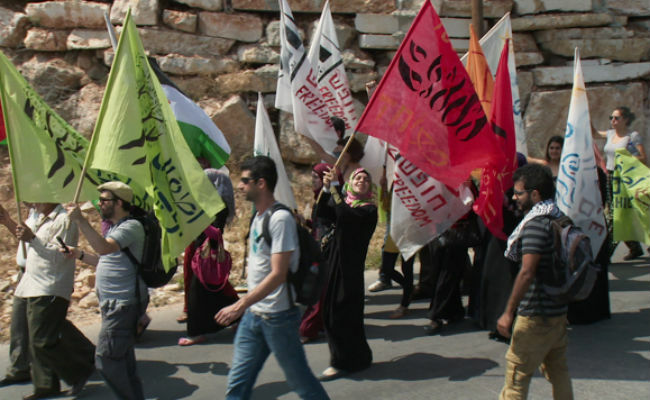 The stirring documentary DISTURBING THE PEACE, from Award-winning director Stephen Apkon and Academy Award® nominated director Andrew Young, follows a group of Israeli soldiers and Palestinian fighters who bravely transition from former enemies to peace activists. Moving away from the protracted conflict that has caused nothing but disruption and tragedy in their own lives, they decide to form “Combatants for Peace,” a bi-partisan organization whose main goal is finding a peaceful resolution to the conflict. Their transformational journey is a testament to the courage necessary to challenge the status quo despite the resistance encountered along the way. Berlin Golden Bear-winning documentary FIRE AT SEA is a beautifully crafted and poignant depiction of the European migrant crisis told from the perspective of a twelve-year-old boy. Due to its proximity to the African continent, the sleepy Sicilian island of Lampedusa has transformed in recent years into the primary transit point for migrants dreaming of freedom and a better life in Europe. Gianfranco Rosi masterfully shapes the story around a lively local boy, Samuele. Though his community has been thrown into transitory chaos, he seemingly lives a normal life: going to school, exploring the island, and spending time with his friends and family. Rosi skillfully juxtaposes his mundane activities over the tragedies unfurling in the background, daily, on the island. Bringing to light the dramatic and dire fate of the African elephant, THE IVORY GAME documents the efforts to stop the systematic slaughter that is driving the African elephant to extinction. Poachers sow destruction in pursuit of the “white gold” of ivory, considered by many cultures a luxury item and status symbol. For more than a year, award-winning director Richard Ladkani and Academy Award®-nominated director Kief Davidson filmed in Africa and Asia with the help of conservationists, intelligence organizations, frontline rangers, and undercover activists trying to expose the institutionalized corruption that supports the illegal ivory trade. Whales and other marine life are surrounded by a unique and powerful sonic symphony. These underwater sounds help define their existence and guide them towards food, mates, and safety. Narrated by Rachel McAdams, SONIC SEA dives into their fragile world and explores the tragic impact of industrial and military ocean noise. Featuring interviews from dedicated experts and activists, filmmakers Michelle Dougherty and Daniel Hinerfeld’s must-see documentary points to the man-made sources of oceanic noise pollution, and explores ways in which we can act to protect these beloved creatures. The 24th annual Hamptons International Film Festival, which will be held over Columbus Day weekend, October 6-10, 2016, greatly appreciates the support from their corporate sponsors, including Delta Air Lines, Altour International, BMW, and WNBC New York. Founder Passes are currently on sale. Ticket packages will be available for purchase beginning September 6. Individual tickets will go on sale at the end of September.